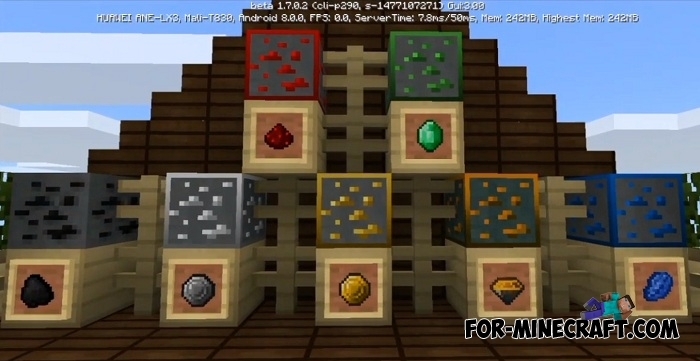 New particles, icons, GUI and of course the textures are presented in this texture pack for Minecraft PE. All you need for a full package is here and you can install Hestia right now to replace the usual vanilla graphics with something else. In order not to limit the goals, the purpose of these textures is quite wide. Do you like PvP or can you enjoy watching a fire burn or particles scatter in the air? The Hestia pack adds updated fluids similar to what they look like with shaders, as well as new fire, rain and more that you often see in Minecraft BE. Regarding textures, the resolution is 16x (the original MCPE resolution), so there are no lags here, everything is in order of the game rules. You will notice a slight tarnish and dimmed brightness in some places. How to install the Hestia texture pack? Download the pack and run it using the game. Activate the textures in the world settings. How to install the shader/taxture pack?